A beautiful and simple pair of earrings. A neat silver heart mounted with blue opal. These sterling silver earrings feature a flower framed on a silver background with a blue opal centre. 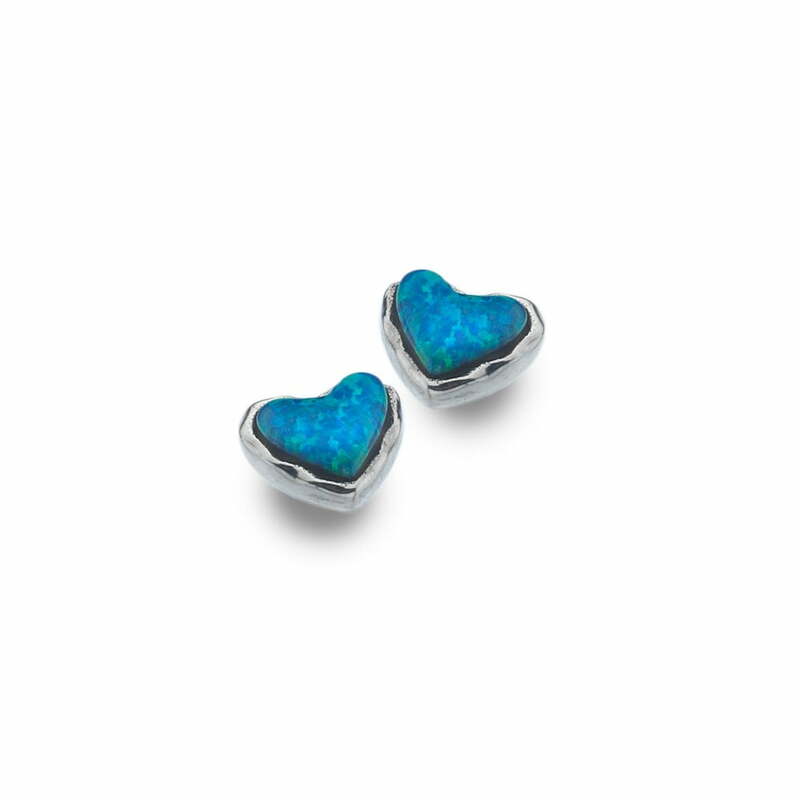 An original hammered heart design stud earrings, mounted with a sparkling blue opal stone.